I hope everybody liked the quiz last week. One of the questions involved reducing your real estate exposure by buying a house with a big mortgage. I wrote it intending that the right answer be that the size of the mortgage had nothing to do with your exposure to real estate, but as I entered it into the quiz template I realized that there was another argument to be made. And sure enough, somebody suggested in the comments that mortgaging a house up to its full value does reduce your exposure because you have the option of walking away from an underwater house, i.e. one that becomes worth less than the balance on the mortgage. 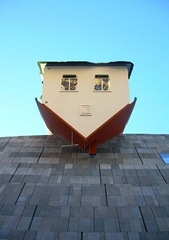 The idea that you can just send the keys to an upside down house to the mortgage holder (“jingle mail” or more properly “ruthless default”) and be done with it seems to have gained some popularity of late. Apparently, some people are beginning to believe that this is something special about houses. New cars that were bought on credit are usually worth less than what is owed on them at the start. Does anybody think they can reconsider the purchase after a few months and just hand it back to the dealer, no questions asked? Are houses different? Can you just mail in the keys? This is one of those unsatisfying questions where the answer is kinda yes and kinda no. The argument in favor of no is that there is only rarely a contractual right to hand over the property to the mortgage holder and walk away unscathed. Houses don’t borrow money, people do. When you sign a mortgage, you owe the money and the fact that the security for the loan, your house, may have sunk in value does not mean that you owe any less. It is true that in 19 states, notably including California, mortgages are by law non-recourse, meaning that if a lender forecloses on a property they cannot come after the debtor for more money even if what they get for the property doesn’t cover the balance on the loan. However, in many of those states, again including California, the lender need not foreclose. They can just sue you for the money if they think you are good for it. On the other hand, the argument in favor of homeowners being able to walk away from an underwater house is supported by a some practical realities. Even in the best of times lenders rarely went after homeowners for the difference between what was owed and what was recouped in foreclosure, for the obvious reason that those homeowners were usually broke. That’s how they wound up in foreclosure. And now is not the best of times. With so many homeowners in trouble, mortgage servicers are even less likely to pick out the few who have other assets that could be tapped to make up a deficiency. Short sales, a sort of pseudo-foreclosure in which the lender agrees to settle for the proceeds from the homeowner’s sale of the property, once an exotic maneuver, are now commonplace. 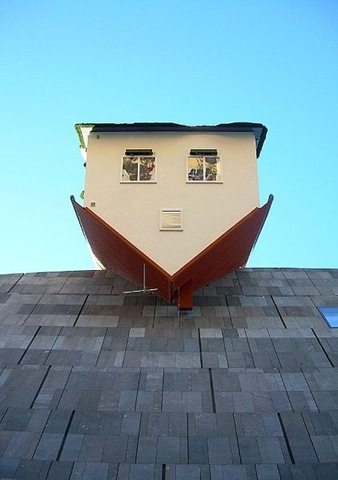 Which is not to say that the ability to walk away from an upside down mortgage can be taken for granted or considered anything like a normal business practice. For one thing, a short sale is a blot on your credit rating, not to mention a complicated ordeal of negotiation you are unlikely to enjoy. And things change. It could be that in a few years, when you want to walk away, you will find that you are dealing with a clever bank that isn’t so open-minded. Walking away from an underwater house is possible, but it is a desperate act for desperate times, not a fallback option you have if things go against you. Of course there’s the part about keeping your word. You signed up to pay the bills. If you can’t pay anymore due to no fault of your own I’m not faulting you, but do the right thing and negotiate a short sale or at least try to work things out. This lack of personal responsibility and moral character is really what got us in this mess in the first place. Well part of that is a shift of view towards what a “house” is, something to be used vs. an investment. Actually, I see this kind of shift with one of my friends and macs. He told me he loves macs b/c they hold their value so well. So he is able to get a pretty good return on investment by just buying macs when there is a deal, use it for a few months/years/etc. then resale, recoup most of the cost and sometimes profit. (The deals sometimes include free ipods/printers which he can craigslist). He can get away with this just b/c of 1. apple not dropping prices much. 2. relative ease of liquidizing computers. But it does show a fundamental shift; upgrade upgrade as opposed to use till it no longer fits my needs. I don’t think you left anything unsaid in your blog post re: this topic. There is an EXCELLENT (IMO)(linked above) article in Atlantic Monthly right now by Jeff Goldberg exploring some new perspectives on stock market investing and tolerance for risk, particularly as it relates to middle class people who really don’t understand the game. I agree with many of the author’s points, and he brings up alot that I’ve kind of hypothesized on my own that I’ve never seen raised before. I still am putting alot of my eggs into low cost index funds, but I agree with some of the article’s assessments about better preparedness in general. I’d be very curious to hear your thoughts in a future post. Also, I’ve noticed you’re still due for a post on Susan Boyle. My suggestion to just walk away from the house was in reply to a QUIZ question. i believe it’s the only correct reply for the QUIZ. I never suggested it was an ethical, real-world solution. If you had the ability to make your mortgage payments when you had equity, you should be able to make your payments without equity. Ryan: Thanks for the link. It’s not my favorite Goldberg piece. (See my post on Madoff for that.) And I think Rich Bernstein is a smart and thoughtful guy. Susan Boyle’s 15 minutes just ran out. Mark Wolfinger: Sorry if I implied even in passing that you were doing anything other than making an academic point. Hey frank, here’s a question i’ve been turning over in my mind for hundreds of days. . . why when investors talk about a “diversified portfolio” they are always talking about sectors of ‘stocks and bonds’ and not stocks, bonds, real estate (forgiving the recent trouble in the market). I’ve always thought the best way to get rich was to pay off your house, buy another one and invest the rental income (well, at least something like that). You are right that real estate (i.e. the house you live in) could appropriately be thought of as a third asset class, along with stocks and bonds. And if people did this they might discover that a) many households are way over-allocated to real estate and b) it’s not as diversifying when combined with stocks and bonds as you might like. Your way to get rich is not crazy, but not sure-fire either. Over the long haul, house prices just keep pace with inflation.